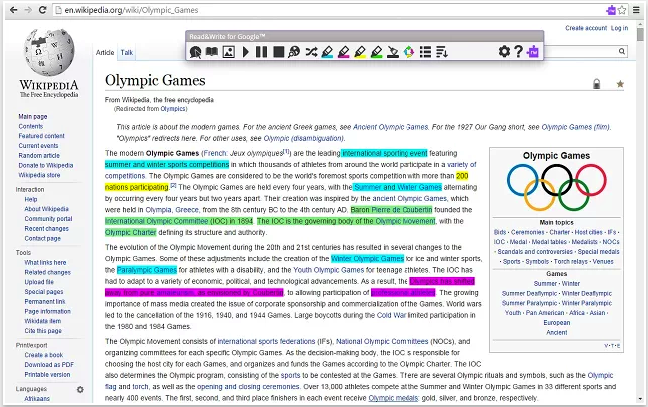 Read & Write for Google Chrome is an excellent teaching tool to use with students having reading and writing difficulties.It is also ideal for EFL and ESL students. It provides a number of powerful literacy tools to help students enhance their learning and improve their reading and writing skills. Read & Write works with web pages as well as Google Drive and several other files including Google Docs, PDFs, ePub and Kes. It also works with Macs, Chromebooks and PCs. The Pro version of Read & Write for Google Chrome is free for teachers, fill out this form to get a license. Some of the features Read & Write offers its users include: listen to words, paragraphs or entire article read aloud with easy to follow dual color highlighting; provides both textual and visual definitions of words, hear text translated to different languages, voice type your text, create and listen to voice notes directly, quickly summarize text on a web page, highlight different parts of a document or web page and use them in other documents. 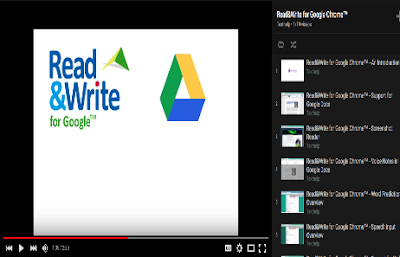 Watch the video playlist below to learn more about Read & Write.